The illegal shot to the head was so blatant that the crowd immediately erupted in boos and catcalls. Hardy’s opponent, Allen Crowder was not the pushover that Hardy may have hoped. In the first round, both fighters gave as much as they took and both connected with solid blows on their opponent. Crowder stood his ground until Hardy was disqualified for the illegal knee delivered while Crowder was down on one knee. After the disgraceful end to the bout, Hardy insisted that the kneeing was accidental, and he just got caught up in the moment. He also insisted he is not a cheater. The disqualified fighter also claimed that the penalty was just a glitch in his new UFC career. 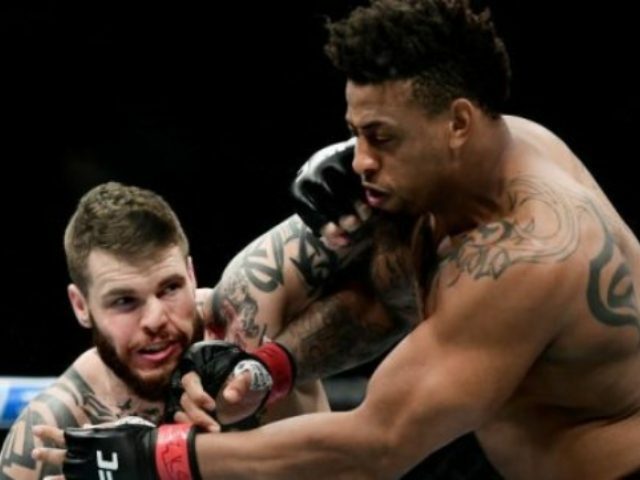 Hardy’s UFC debut was questioned after he was put on the same card as female UFC fighter Rachael Ostovich who had recently been attacked and seriously injured by her husband during a domestic argument. Ostovich said she did not mind the situation, but many questioned the good sense of the appearance considering Hardy’s own history of alleged domestic abuse charges.